After looking at the sales statistics for last month, I’ll be going over what I’ve found recently about exceptional deals in this area. 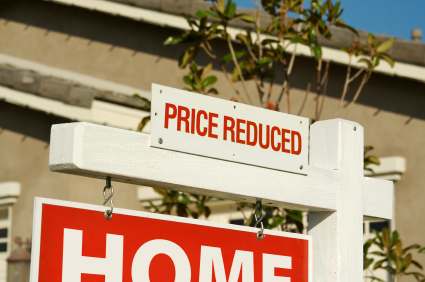 Last month’s sale were down about 10% from September and 20% from last October. The drop from last year is understandable since it was getting close to the end of the period for the initial tax credit. I don’t know why there was a drop from September to October this year, but one possibility is the problems with the foreclosure paperwork from banks which put a temporary halt to many foreclosure sales. Now let’s talk about the exceptional deals. There are still some great deals out there but I’m not seeing as many as I used to. First let me cover the categories these fall into and then I’ll tell you about some I’ve noticed in the last several weeks. Foreclosures, short sales and regular sales are the 3 main categories these deals are seen in. The foreclosures have always had the lowest prices but have often been in the roughest condition. It’s riskier because the bank isn’t going to be disclosing any problems with the property, in most cases, and some can be a real mess. If you are a contractor or can get remodeling work done inexpensively, then they may be something to consider even if they are in rough shape. If you’re not a contractor or don’t have the skills or crew to handle big problems, then you will need to really watch out if you’re thinking about buying one of these. You also need to be cautious when dealing with a foreclosed property because of all the problems that came to view this fall about the legal paperwork the banks have filed. This seems to be starting to straighten out but I still would advise you to consult with an attorney to make sure that you are not getting yourself into something that will be a problem down the road. Short sales can either be great or horrible. The key is knowing which it is before you get too far. The nightmare ones are the ones that take 6 months or more to hear back from the bank and then they either reject the short sale or reject your offer and want an unrealistic price; or you wait for months only to find out they accepted another offer. The great ones are the ones where you’re getting a great value and the process moves quickly. Typically these are ones where the bank has already done a lot of the short sale process on a previous offer or, even better, where the bank very recently approved the short sale and the price but the buyer hadn’t waited and the property has just come back on the market. Sometimes you can tell this from the information in the description but that is not always the case. Sometimes I can see information in the field with information just for realtors and sometimes I can look up the history for that property and tell from that, so if there isn’t anything in the description then you can always ask me to see if there is other information elsewhere. The easiest of the three types is usually the regular sale. I call it regular sale even though there may be some unusual circumstances, like being an estate sale or a relocation, but basically this just means that it is not a foreclosure or a short sale requiring bank approval. I’ve had many clients get very good deals because of some circumstances that motivate the sellers to want to sell quickly, making them more negotiable on pricing. Just this month I came across a house for sale in a very nice golf community in Dunedin with a view of the golf course out the back. The location of the house is great but the house needs a lot of updating and it seems that this is an estate sale which would explain the low pricing and need for updating. The listing agent has told me twice that the current owner wants to sell this quickly and there is no outstanding loans so I know about how much they want and based on what houses in that neighborhood sell for this is a very good deal for someone who is willing to do the updating needed. I also came across a newer, 3 bedroom 3 bathroom townhouse for sale in Tarpon Springs that is in good condition and is a bank-owned sale at $100,000. I also found a townhouse in good condition in Dunedin with a boat slip for under $180,000. Now you’ll have a feel for the kind of exceptional deals that are still available. There’s also a special ‘deals’ section of my blog where I enter brief information on ones I find when I come across them in the MLS. I’ve also set it up so you can get email notifications any time I add any new deals and if you want to know how to do that let me know. This entry was posted in Clearwater Beach Homes, Clearwater Condos, Clearwater Homes, Dunedin Florida Real Estate, Dunedin Homes, Dunedin Real Estate, Foreclosure. Bookmark the permalink.